A couple of weeks ago, CHB favourite Marie Hui and I put together a tribute song to Roberto Luongo when he was traded to the Florida Panthers. We performed Boyz II Men’s smash hit “End of the Road“. Well, it seems like I’m not the only blogger who likes to write songs about Bobby Lu. Harrison Mooney of Pass it to Bulis penned a farewell song to Luongo to the tune of Adele’s mega-hit “Someone Like You.” Harrison contacted me to help him with the music and within 5 seconds we had agreed to invite Marie to join us. 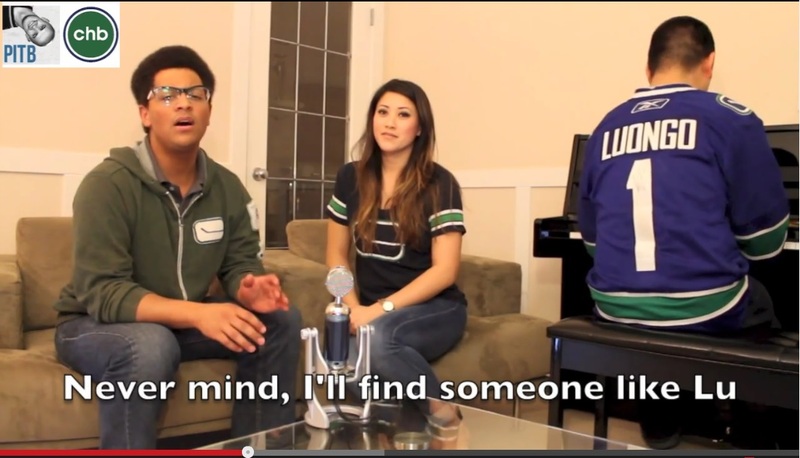 The result is a powerful and emotional song, courtesy of Pass it to Canucks Hockey Blog.